Guest DT MIYAKE here again. I often use image transfers. I always used the image of the pattern paper or magazine. But, Today is Stamping -> Coloring -> Image transfer. Amazing project, Miyake! I LOVE these tiny bags with Catherine's stamp...what a great idea! Beautiful Miyake!! I LOVE how you made an image transfer out of a stamp . . . amazing!! I love putting them on little bags, what a fun gift bag!! I love these tiny bags, they turned out so colorful and amazing! Perfect for those tiny little gifts! 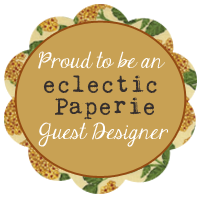 THANK you for using my stamps and sharing here on the blog! These are so beautiful!! I'll have to try this technique! I'm so happy that you share interesting technique! : )amazing!!! ur self coloring transfers .